lots and lots of vegetables (both raw and cooked), tons of fruit, and all i can eat legumes. i'm eating a cup of grains a day (steel cut oatmeal, usually), an ounce of nuts, half of an avocado, and one ounce of seeds (usually a combo of chia seeds and flax seed). i'm trying so hard to lose baby weight and get into a habit of "eating to live." disease prevention starts now! let's do this. we are still slowly decorating our new place- so i've been browsing for couches and have found a couple that i'm really into. also, i've been picking out frames from an online custom framing website (which i've used before) for a few pieces of art that i have, and a couple that i'm going to buy. 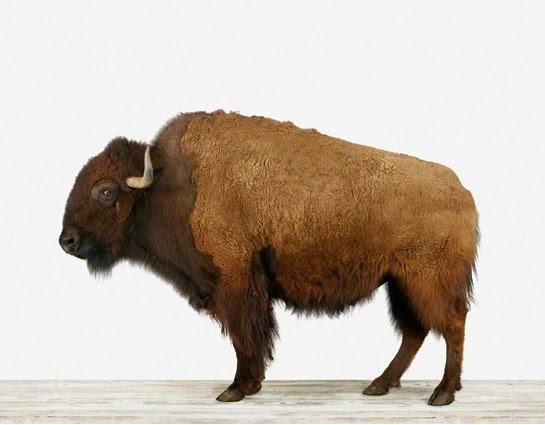 this buffalo picture is something that i've wanted for over a year now and i think that we are going to pull the trigger in the next month or two (we'll be getting the 24x30 size). tony and i just bought tickets for a trip to nashville for my 30th (eeek) birthday in april. we are so excited and have been checking out neat places to eat, shop, and wander. we will be bringing sailor (because he will still be nursing exclusively) and leaving lil easton with his favorite babysitter, donna. buffalo image borrowed from The Animal Print Shop.